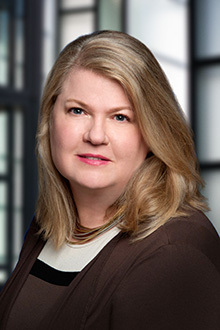 Jill Anderfuren is a partner in the Chicago office of Lewis Brisbois and a member of the Intellectual Property & Technology and Antitrust & Competition Practices. Ms. Anderfuren advances and protects the interests of clients in the insurance, consulting, medical, and consumer products industries. Working together, she builds and maintains successful trademark protection strategies for clients, both in the United States and internationally. They rely on her knowledge, based on over 20 years of international experience in the analysis, prosecution, clearance, licensing and litigation of trademarks. Ms. Anderfuren's extensive background along with her experience in inter partes proceedings and her involvement with INTA committee work, affords her clients keen perspectives and a thorough understanding of their issues. The World Trademark Review listed Ms. Anderfuren in its 2018 and 2014 WTR 1000 rankings, recognizing her as one of the leading trademark attorneys in the world. In addition to her extensive trademark work for clients, Ms. Anderfuren frequently assists and counsels clients on copyright and unfair competition issues, along with counseling regarding customs enforcement and seizure and internet issues. Jill Anderfuren is again recognized in the 2019 edition of World Trademark Review 1000 – The World’s Leading Trademark Professionals, an editorial which focuses exclusively on trademark practices and practitioners for those seeking world-class legal trademark expertise. The WTR undergoes an exhaustive qualitative research project to identify firms and individuals that are deemed outstanding in this critical area of practice. Factors such as depth of expertise, market presence and the level of work are all taken into account, alongside positive peer and client feedback.